I’m amazed by all the electronic devices and handheld toys kids have these days. I mean, Portable NES, PSP, Retro Duo, tablet, Kindle Fire, iPad, portable DVD player, laptop, smart phone … just to name a few. I’m not even sure I’ve got those names right. You know what kind of fancy electronic device my sisters and I played with as kids? 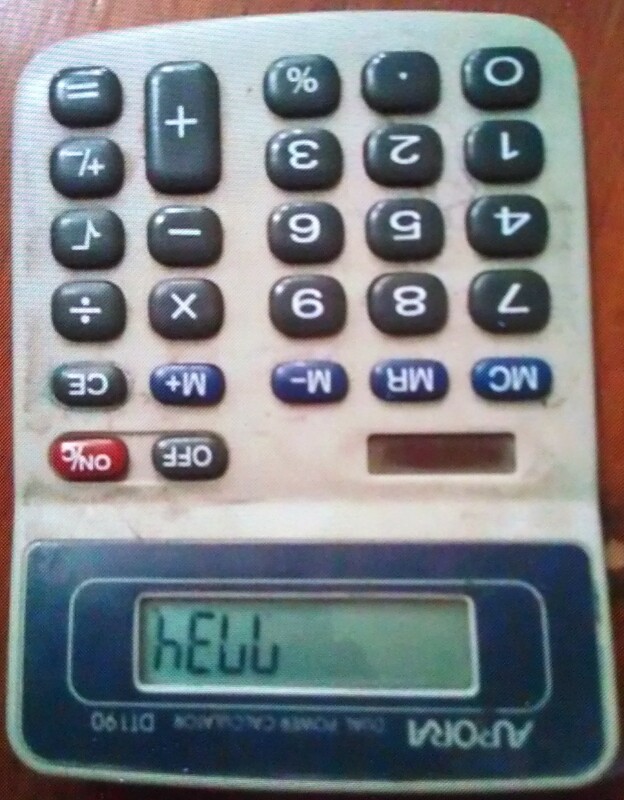 A calculator. Oh yeah, that would entertain us for hours. It was a huge step up from writing on foggy car windows with our fingers during long car rides. 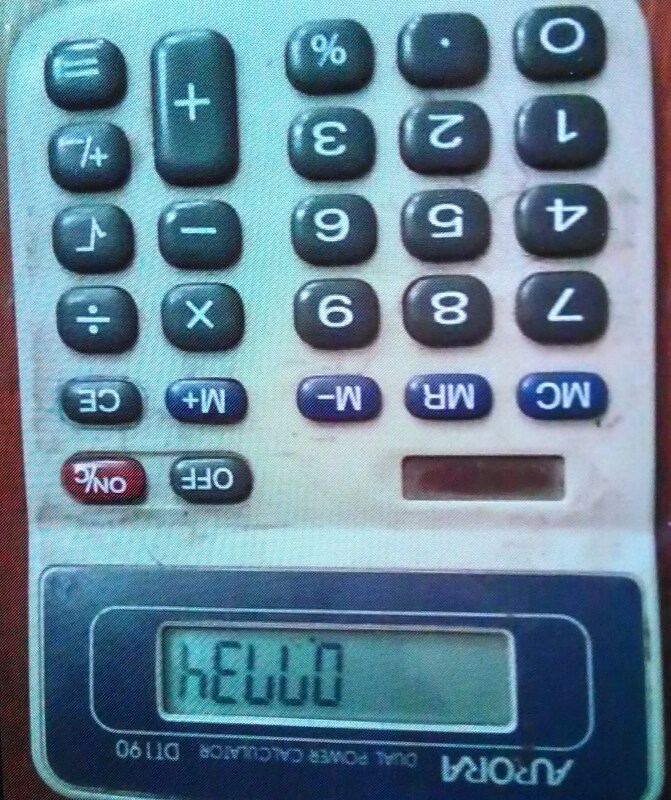 You remember these clever calculator combinations, right? Not to mention a few other words I shouldn’t list here. 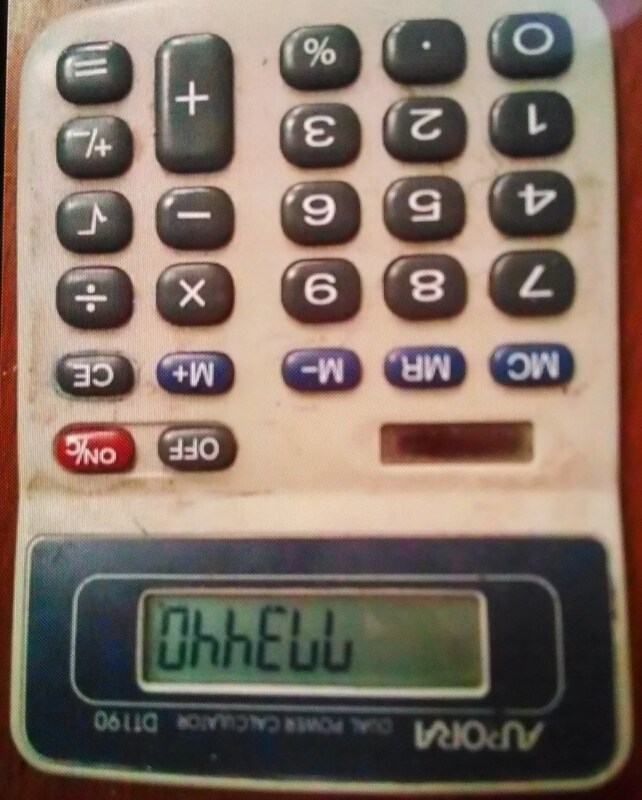 I tried to recreate this amazing number/word phenomenon on my smart phone, but when I turned it upside down, the display just went sideways and turned into some crazy Albert Einstein-worthy display of symbols I’ve never seen before in my life. Besides the calculator, we had just as much fun playing on the phone back then … a rotary phone nailed to the kitchen wall with a long cord that we could barely wrap into the adjoining family room to have some privacy during our allotted 30 minutes of talk time. I can’t remember it now, but there was a number we could call to make the house phone ring. My sisters and I would dial the number … dragging one number around the dial, then another, until finally all seven digits were dialed. When the phone rang, we’d pick it up fast and say “Hey, so-and-so, your boyfriend’s on the phone!” Then so-and-so (one of the sisters who wasn’t in on the prank that particular day) would pick it up … and hear that loud whistle that escalated and escalated then dimmed, and escalated and escalated and dimmed. It was hysterical. Unless my older sister Tracy was the unwilling victim, cuz then she’d beat the crap out of me. Sometimes my Mom would get trapped at the front door talking to the gardener for a half hour, and she was too nice to dismiss him, so we’d have to pull that phone trick to save her. Wait a minute, we had a gardener???! But I had to eat Friday Night Casserole??? !